Other Function: Weak light positioning <<<<<<< ??? I’m guessing that’s the switch I asked about. Which pin and command to use to turn laser on /off only NO PWM ? Same pin and commands. Use maximum RPM (M3 Smax) as on and S0 or M5 as off. I have requested the seller to refund to replace the laser. In the meantime, i want to try AudrinoUno board which i was using previously. Q1:What is your opinion ? Q2: if yes what vesrion of GRBL and which pins shall I use ? Q3: Include any other suggestions? Q1 The arduino code base is much more stable than the 2560 firmware. Q2 If you are going to pursue laser work use this version of grbl (for testing, if you want to move to 1.1f at a later time you can do so). The PWM pin is D11. Q3 Not sure at this point. That’s it! Re-compile and re-flash Grbl via the uploading procedure outlined in the Grbl Wiki. There’s no point in modifying grbl unless you have a compeling reason to do so. What is the way out to home the machine since D11 will be used ? Sorry, I didn’t understand what you were trying to accomplish. 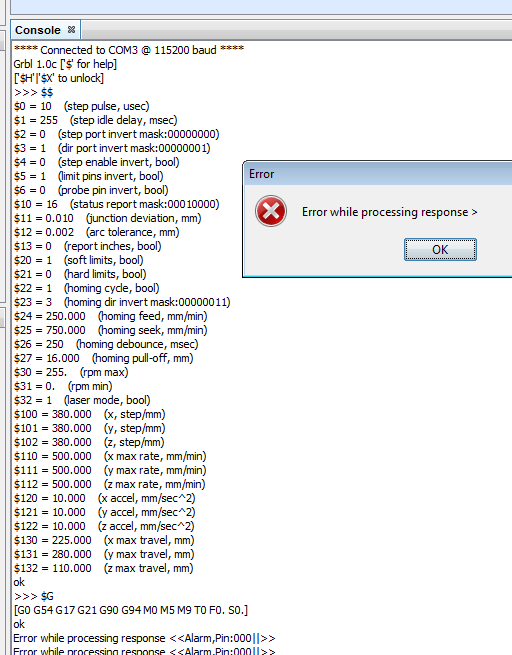 After uploading the hex file, i am able to home the machine thru Arduino IDE, i mean Serial Monitor but not thru UGS. Are you using normally closed homing switches? Which version of UGCS are you using? My switches need 16mm clearance so $27=16 is needed but will try $10=115 and update you. I am using NormalOpen switches. 16mm is a very large gap, what type of switch are you using? 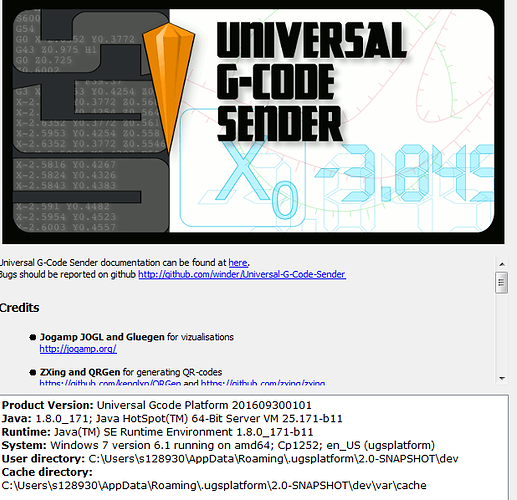 Download and try UGCS 1.0.9 That is the latest stable version of UGCS. Both nightly build and platform are not good candidates for trouble shooting as they are constantly changing at this time. which fork you want me to download ugs 1.0. 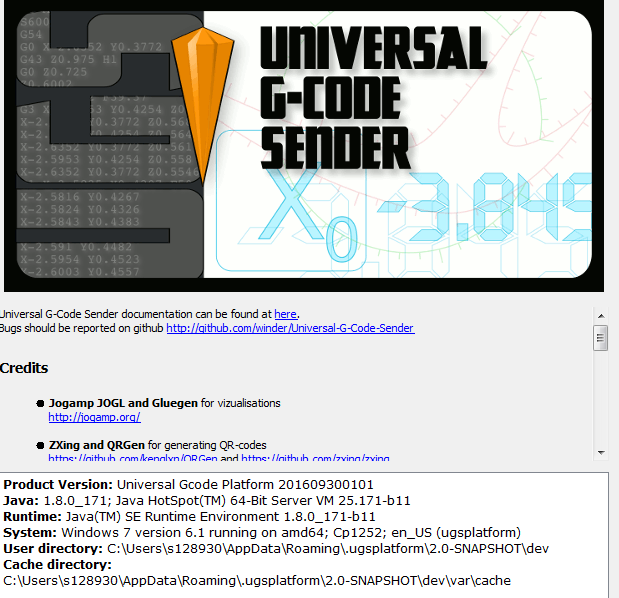 Universal-G-Code-Sender - A Java based GRBL compatible cross-platform G-Code sender. I need to stop for the night. I’ll pick it up again tomorrow. There is some progress but still need some configuration or whatever. I did try 0-255 first but the power was not full. Did some search and found that JTech laser take 0-1000 so thought may software is also developed like that. Did change RPM to 1000 and used S power from 0-1000. Still the line is not that dark as running the laser straight without the board PWM. Attached are the results. Any suggestions ? What version of grbl are you running now?